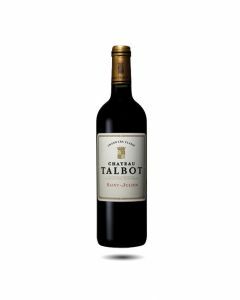 Deep crimson colour and beautifully fragrant in the nose, Talbot is more approchable than usual. There is good intensity and spice, with fragrant violets and cassis. This is not a blockbuster, just very well made and elegant. A classic Talbot and a very good St. Julien with lots of charm inspite of the firm tannic structure. Jean-Michel Laporte, previously wine director at our neigbour, La Conseillante, has just become director at Talbot so we look forward to working with him in the future and appreciating his wines.